It is a tradition for my wife and I (and my family at Christmas time) to state highs and lows. That is, you say, “ok, what was the high and low of the trip?” (and at Christmas, it’ll be for the year). It’s a good chance to reflect back and look at the trip/the year and see just how bright and dark it got. Plus the two, together, make the other more dramatically high and low. With that in mind, here are the highs and lows of my wife and my honeymoon. Because I want to write more than just a few sentences, I’m going to do this piece-by-piece. The trip started as soon as we got engaged, but it really took off in September when the tickets were bought. At that point we were committed. Departure was easy to remember, it was the day after my wife’s birthday. At some point trip-related documents changed, which went unnoticed by myself, my wife, and our travel agent. This caused me a LOT of grief but now I’m over it. The unnoticed change was an important one. We arrived at the airport at 1 pm for our 4 pm departure – extra early because it was an international flight (Houston -> Frankfurt, Germany -> Delhi). At the gate we stated our rehearsed line, “hi! [cheery smile, cheery smile] We were wondering how much it would cost to upgrade our seats? 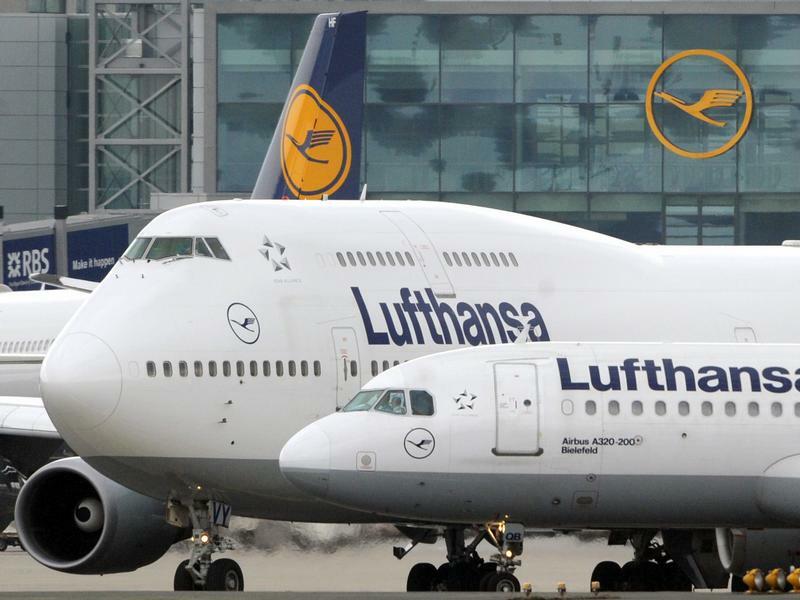 It’s our honeymoon so we’re thinking about splurging!” The hope here was that the aw shucks honeymoon thing would inspire some kindness on the part of Lufthansa ticket agents. After thirty seconds or so, when my brain returned to me, I was angry at myself and confident because my thought was: ‘I am not that stupid. I would not make this big a mistake.’ Well, that turned out to be sorta true. I had in my notebook full of trip-related documents two flight itineraries: the original one and the most recent one with our seat assignments. Sure enough, the two differed in initial departure time by TWENTY-FOUR HOURS. As I looked through documents I saw again and again the new departure date but I had glossed over it every time, 100% sure of the departure date being wife’s birthday+1. So, that awful sinking feeling, the next 45 minutes of worry and anger at myself and the unfortunate reality of needing to shell out 1,500 dollars to buy a new set of tickets was the low. The big plane is the A380, which seats a cool 545 people. The ticket agent gave me a Lufthansa 1-800 number. But first my wife called our travel agent and said here’s the situation, what do we do? The travel agent suggested I call Lufthansa. In addition, she would look through her documents and call Lufthansa. I got an answer from the 1-800 number on the second or at most third ring which was very unexpected. I explained what happened, although probably in a very confusing and scatterbrained and panic-voiced manner and said, “is there any way we could get new tickets at a reduced cost?” The Lufthansa representative asked if this was our fault or the travel agency, and she suggested I call the travel agency … I told her, well our agent said to call you. I also said that we have two documents with the SAME reservation code, SAME flight number, but two different departure days and we never saw an updated email so the mistake was ours because we continued to see the same departure date despite the fact that it had actually changed. Kindly, the representative said ok, I’ll look into it. Meanwhile Lauren (the Mrs!) heads to the ticket counter with the two sets of documents, both of us hoping that by showing them that we have two sets for two different departure dates we can get … nope. I was on hold a while. 15, 20 minutes. We were getting nervous. While I was on hold Lauren looked up ticket costs because while 1,500 dollars is a LOT it would be much much worse to not go on the trip. Then the representative is back. She apologized for the delay and told me she spoke to her boss, and her boss’s boss. Woah. Are you at the airport? Yes. If we could get you tickets would you go today? Yes! Ok, hold please. Lauren then tries frantically contacting our travel agent, who is ALSO trying to get us tickets with Lufthansa. We fear the worst – what if both people (the person I’m talking to, the person our travel agent is talking to) try at the same time and so it serves only to block each other! Lauren gets through, the travel agent hops off the phone. While fear and panic and worst-case scenario thinking dominated my thoughts for the next 36 hours, the situation had been resolved. I don’t know if I had initially said honeymoon, or if our travel agent had gotten through and passed that on … But Lufthansa saved the day for us in the biggest way. Again, Lauren and I made the mistake of not recognizing our departure day changing. BUT, to defend ourselves again (because it’s better than admitting we are dummies) we had one day implanted in our brains PLUS the time change confused things. Depart 4 pm day 1, arrive 8 am day 2 in Germany, depart noon day 2 in Germany, arrive day 3 at 1:30 am in Delhi. Yes, we certainly got lucky to have such nice Lufthansa people work with us! And thanks! It’s over now … I’m just beginning a bunch of posts to talk and talk and talk about it!